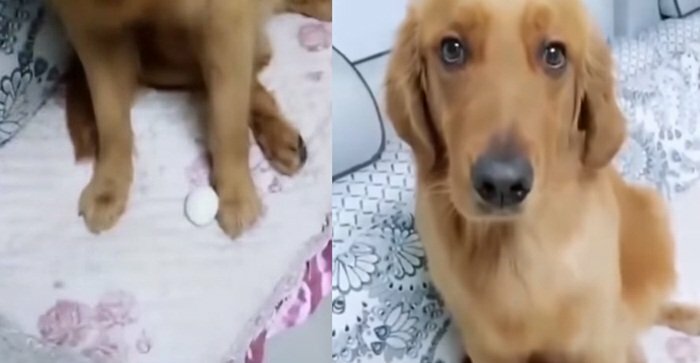 This Labrador has been eyeing for his owner’s boiled eggs for a while so when his owner left him with eggs to get something in the kitchen, he knows what he has to do to steal the eggs! 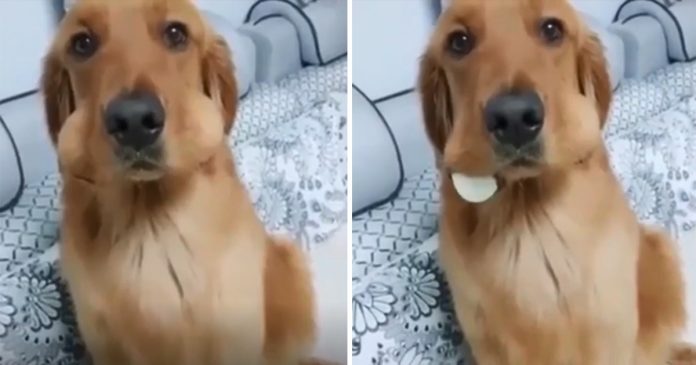 Apparently, this dog has a special trick up his sleeve on how to steal the boiled eggs without his owner being suspicious of him. 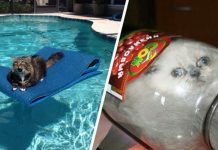 When his owner returned later on, the boiled eggs are missing but the dog’s cheeks look visibly puffy and big! With his puffy cheeks and innocent eyes, the dog stares at his owner as if he has no idea on how the eggs go missing. A brief moment later, another boiled egg follows suit!